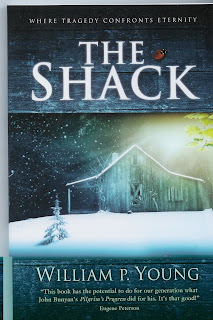 The Shack: My personal opinion. You know something is popular, and worthy of mockery, when it gets on Stuff Christians Like. Which may be the funniest and truest blog in all of fair blogdom. My opinion of The Shack? Here’s what I didn’t love: the kidnapping. It was a deep fear in my heart that my youngest sister would get stolen [thank you, GhostBusters 2], so I tend to stay away from this story line. But there was so much Christian pressure….. I folded. 1) The portrayal of God, Jesus, the Holy Spirit and the Trinity. I just did. These are things that our minds are not able to fully comprehend. But I really like when people show me what they think, even if I didn’t already think it. And even if NO ONE has the exact right answer. Because, by the way, they don’t. THIS ISN’T THE BIBLE. Yes, a lot of people are reading it. But let’s all just be discerning for ourselves and cool to each other. 2) I LOVE LOVE LOVE the garden scene. By far my favorite part. I read it twice. It made me think of The Secret Garden and I think I have a crush on that book. Or at least the garden. 3) The overall story of God’s heart for His kids and the redemption and the amount of effort God will go to in order to see us healed is beautiful. I like the way it was written, I enjoyed reading it, and I will probably read it again. Am I ruined by it, never to be the same? No. I’m not. But you might be. And that would be fine. Was it the most influential spiritual book I have ever read? No. Not for me. But it could be for you. And that would be fine. Did I hate it? No, but some friends did. And you can too. It won’t hurt my feelings. Do I love God more for reading it? Yeah. I think I do. So I say read it. See what you think. Be smart. BE OPEN. Be different when you finish it. And though it is good, please remember that the only One who can fully show us Jesus… is Jesus. What did you think? Have you read it? Share your thoughts…..